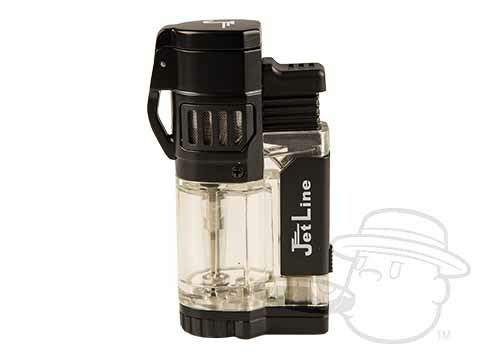 A handy pocket torch with sturdy industrial design, the Jetline Diego triple flame torch lighter puts 3 powerful jet flames at your disposal. With just one push you’ll summon those flames, making light work of even your largest cigars. As if that weren’t enough, the Diego features a convenient built-in cigar punch at the bottom. All this at a very reasonable price - add it to your cart now.